The UVW-1200 is the first in the UVW range of budget Betacam machines. It has the ability to replay both large and small format Betacam & Betacam SP tapes. While the UVW series specification is not the broadcast quality of the BVW series all UVW VTRs offer amazing results for the price. 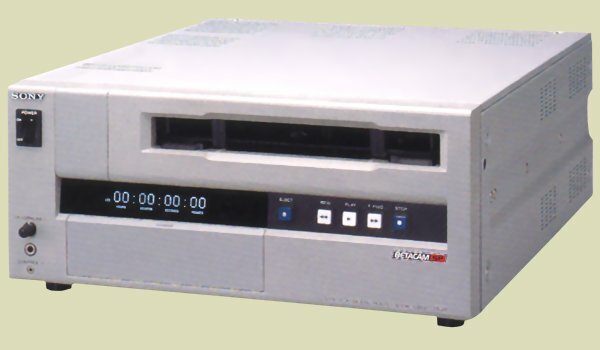 The UVW-1200 is a player only VTR with built in LTC time code reader to give frame accurate readout of tape position. It also has Dolby C noise reduction and a built in time base corrector to ensure jitter free pictures. Like all VTRs in the range, it incorporates a built in character generator to provide information about the VTR status, self-diagnostics messages, timecode and set-up information.